i have always refused to do matching hats. and then, last night, there was something about how soft the falkland was and something endearing about the little ball i had left… and before i knew it, this had happened. 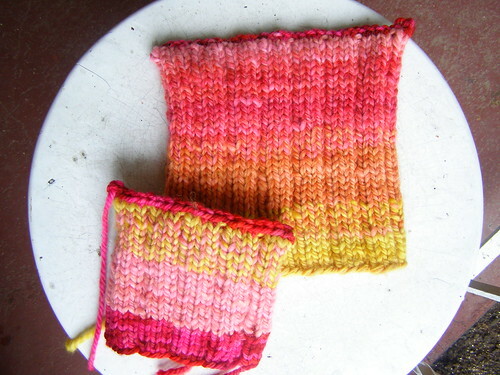 this is an example of my shifting stripes skeins. i hadn’t knit any of these up yet and i’m super pleased with how it turned out. i’ll definitely make more of these yarns. 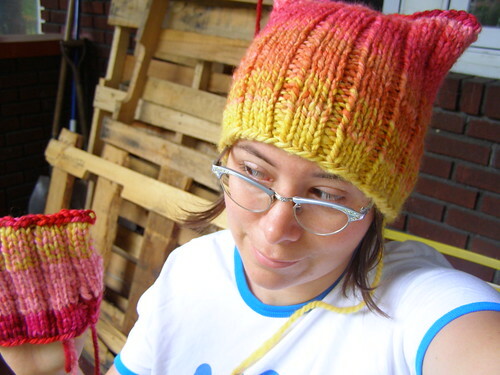 i didn’t quite have enough yarn, so the bright pink is a bit of malabrigo chunky. 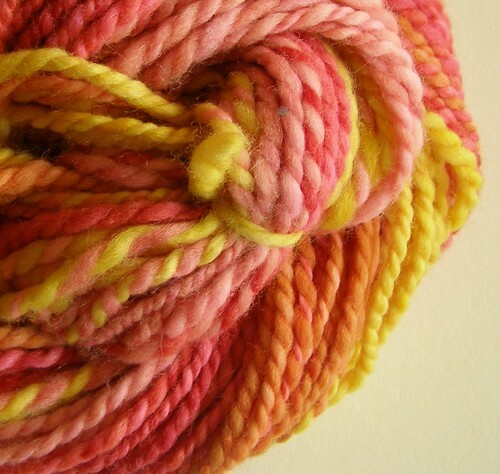 This entry was posted in baby, cosyknitsliterally, cosyspins, handspun, hats, spinning by cosymakes. Bookmark the permalink. Ack! Your head is on fire! Oh, it’s just a super cool hat. I like that hat. The yarn looks lovely. So cute! Matchy-matchy was definitely the way to go in this case. these are so sweet — the colors move so beautifully through the stitches. Do you already have some in the shop? oh I love the way the colors shift! I can’t think of anything cuter than a shifting stripes mom and baby hat set! Enough about the hats…:) How cute is that look on your face?! I’m pinching my monitor screen! So bright and happy, I love it! I’ve been enjoying your blog. I love this yarn, it is fantastic. I am also drooling over your patterns especially the reflections pattern. You are so talented.